“BTN in the past has reported on somewhat exotic, or at least unusual, cars for the year-end road test. Last year it was the Tesla S, and before that we compared the Jaguar F type with the Lotus Evora. My choice for 2017 is a sports car, at an economic price, a Japanese-assembled Italian interpretation of a classic little two-seater. 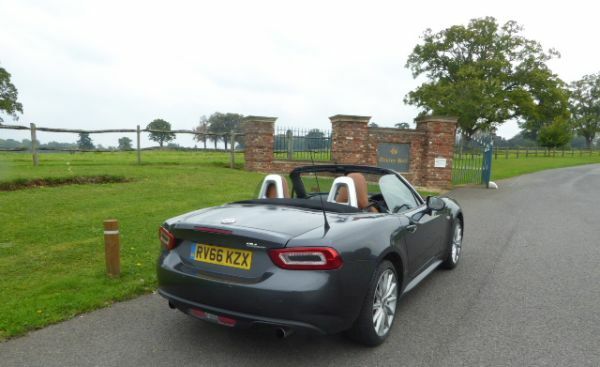 The Fiat 124 Spyder is light years away in looks from the Colin Chapman Elan, said to be the prototype for the one million plus MX-5 that have come down the production line since the car was first unveiled back in 1989. The question is why buy the Fiat rather than its sister car. Despite extensive similarities both underneath and inside, the two are said not to share a single body panel. At the front the Italian is noticeably just a little longer than its Japanese counterpart whilst at the rear it has a 2in stretch giving a slightly larger boot. There is just enough room for a couple of weekend bags but the 124 does not pass the golf clubs test. For that sport you need to use it as a single seater with your clubs in the passenger seat. 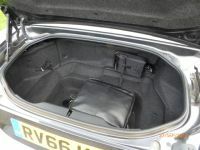 There’s also a lockable storage space between the seats and cupholders that can slot into a few different locations around the cabin to keep your drink ideally positioned. One thing that did surprise me was the getting in an out. Very easy with the wide doors and a low starting point. 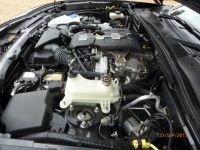 Besides the exterior style features the most important difference is the motor. 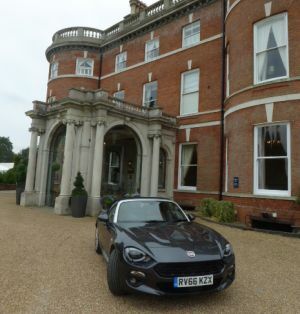 In place of the naturally aspirated 129bhp 1.5 and 158bhp 2.0-litre petrol engines deployed in the MX-5, the 124 gets Fiat’s own outstanding turbocharged 1.4-litre Multiair unit in 138bhp and 168bhp configurations, the latter used exclusively for an Abarth version. These are shipped from Turin to the assembly line in Hiroshima. Having owned an MX-5 my impression was that the Italian version was perhaps a little more relaxing, the original a scaled down muscle car. Perhaps in that sense it can reduce the fun. But it is Italian and has style. Let’s face it, the traffic-light grand prix is not for either version, 0-60 for the 129bhp Mazda in 8.3sec, and the 7.5 sec for its 138bhp counterpart. It is all a trifle academic, as is the top speed of either car around the 130mph mark. And as for petrol consumption both can drop into the low thirties if you really open up the throttle. This report is not supposed to be a comparison of what is in many ways the same car. The Fiat design office has fiddled about with the suspension to give a more supple ride and it is clearly happy on a motorway using top gear virtually all the time. This, the Lusso Plus model, comes with heated seats, a seven-inch touchscreen sat-nav, a premium sound system with nine speakers, four of which are integrated in the headrests, a rear-view camera, LED headlights and 17in alloy wheels. There is automatic climate control. It is a nice warm environment. The Fiat Spyder 124 Is not perfect. The handbook was eventually found in the glove compartment mounted on a panel behind the driver and passenger. The handbrake, when raised, is in an annoying position near the gear shift. It is a copy of the Mazda and very obtrusive when on. No post codes on sat-nav. No electric folding mirror. No seat height adjustment compensated by a moveable steering wheel to suit. The rear view is limited but here there is true compensation. The Spyder has the quickest car roof erection system ever invented. Put your left hand behind you. Grab a handle and in not much more than five seconds you are in lockdown. With the fastest electric drophead you will still be getting wet. If you are thinking of buying something in the tradition of the British sports car of 50 years ago, think again. The 124 Spyder is not an overgrown Austin Healy Sprite or Triumph Spitfire. Nor a MGB. The Fiat is a fine sophisticated small glamour puss with enough zip and handling qualities to put the fun back into your motoring. And back to a comparison. It’s different to the ubiquitous Mazda. In its own way much more pleasurable.